Cooking the Books: What do you do when the bubble bursts? 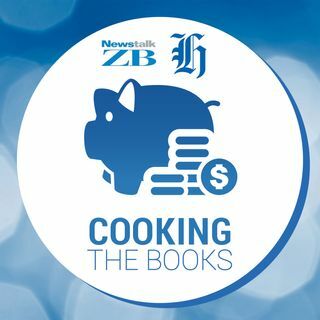 OPINION: Each week the NZ Herald and Newstalk ZB's Cooking The Books podcast tackles a different money problem. Today, it's why you need to expect investments to go bad, and what you can do about it. Hosted by Frances Cook. It's the age old advice: shares are a great investment for building up personal wealth, as long as you can stomach the risk. Over ten years, you're likely to get a sizeable return. But within that decade, be prepared to grit your teeth through some ... See More years where your money goes backwards. That was proved true within the last week, with Fletcher Building having an absolute nightmare. They had their second profit downgrade for this year, their share price plunged to a 16 month low, and now the CEO has bailed and is being replaced. Yep, that's a bad week. But let's be honest, this happens. I personally think that everyone who can invest, should, and we'd all be a lot better off financially. But if you dabble, you have to expect to take a hit now and then. Forewarned is forearmed, as they say, and if you're realistic then you can also have a plan in place to deal with the inevitable. I talked to Mark Lister, head of private wealth research for Craigs Investment Partners, about how to deal with an investment that goes bad. In the latest Cooking the Books podcast we cover subjects including why shares are still a good idea, how to plan for any bad investments from the start, and when you need to cut your losses. For the interview, listen to the podcast. You can subscribe to this podcast on iTunes or the Apple podcasts app. Click here for episodes. If you have questions about this episode, or suggestions for the next one, come and talk to me online. I'm on Facebook here and Twitter here.